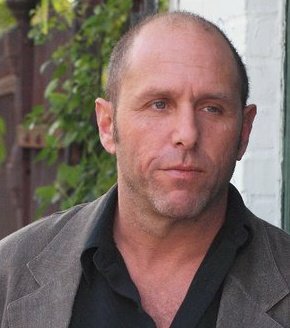 Marc Unger brings over 25 years experience as a comedian, writer, actor and director to the DMV market. With guest starring appearances on hit TV shows including "Friends", a recurring role on the HBO hit series "Veep", three optioned screenplays, several one person shows and thousands of standup appearances across 45 states he's taken all that experience and created a workshop that not only will improve your skills as a standup comedian but as a writer of comedy, improv performer, actor or anyone looking to improve their public speaking. Over the last 6 years, Marc has taught hundreds of students and helped improve countless stories. Quite simply, his techniques work. The six week Art of Comedic Storytelling class focuses on gaining an understanding of story structure, the importance of "heightening" the humor of the piece, performance instruction designed to make your story more compelling in order to keep an audience engaged as well as memorization exercises, character development and how to improve your stage presence. From the first class through the final "graduation" performance, Marc always makes himself available for private consultation to ensure your confidence and skills are maximized. In other words, he's a teacher who cares. Cost is $299 for the six week course with a final performance sometime shortly after the last class. To sign up you can email above or call the box office 410-252-2727 Mon-Sat 11pm to 5pm. Magooby's Joke House Presents... Our Monthly "New Talent Showcase And Competition"
Are you brand new to comedy, a seasoned "open miker" or just starting out as a paid pro? Maybe you're the funniest guy or gal in your office. Whatever your level, Magooby's Joke House wants to see what you've got! EACH MONTH (with some exceptions....check schedule below), we'll be holding a NEW TALENT SHOWCASE AND COMPETITION. The funniest performer of the evening will win a $100 CASH PRIZE AND WILL BE AUTOMATICALLY ELIGIBLE TO COMPETE IN OUR ANNUAL "NEW COMEDIAN OF THE YEAR" COMPETITION. Judging is based on a combination of audience vote and jury panel. You WILL be asked to help bring an audience and the more people you bring the more time you'll get. However, past winners have included comics who brought a lot of friends and some who only brought a few. IT STILL COMES DOWN TO HOW FUNNY YOU ARE! Show will include a performance by our weekly national headliner. This gives the new performer a free opportunity to both work in front of, as well as learn from, a seasoned veteran with national comedy club and television credits. Plus we now offer discounted drink specials on Thursdays for you, your friends and family to enjoy! Those of you who have participated in the past know that we always get a great audience and now you have an opportunity to work on your craft twice a month at our new 350 seat comedy theatre located in Timonium. We hope you'll take advantage of the opportunity and look forward to seeing you at the next showcase. Doors open at 7:00, show starts at 8:00 and tickets are only $10. For reservations to the show call 410-252-2727. There are only a limited number of performer spots available and bookings are first come first served. Email andrew@magoobys.com for more info. Email andrew@magoobys.com if you are a comedian wishing to perform. For reservations to the show call 410-252-2727 or purchase tickets online.